Are you planning to remodel your house? Is getting a new construction on your mind? Are you thinking to give a new look to your house? Then, hold on as this post has all the necessary information about one of the most important construction tool. No construction work is complete without employing the use of marbles. Using marble in building work will reward you with a most unique and elegant look to your property. In order to make use of stones and marble in construction, it is necessary to use a stone cutter or marble cutting machine to get the desired shape and size. Gone are the days when bulky machines were used to cut the stones and marble. A marble cutter is powerful machinery and it works just like a circular saw of wood. 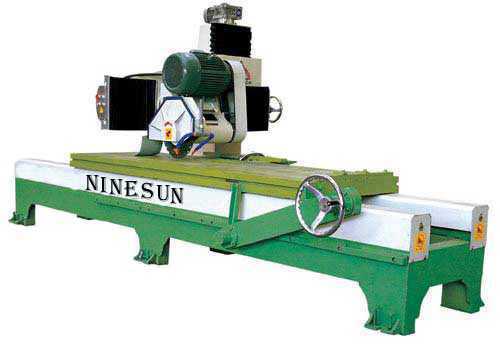 This machine is not only used for cutting flat marble pieces but also most of the different types of flat stones. Why is it important to use a marble cutting machine in construction? If a person has to avoid any kind of chipping in their expensive marble pieces, then they definitely need a marble cutting machine. Such electronic powerful devices are highly beneficial for cutting marble with a great finish. Another major advantage of using a marble cutter is the fact that once a flat marble is cut from the cutter, then it hardly demands any finishing. Also, cutting from the marble cutter saves huge amount of time. The machine comes with various set of blades. This means that one can change the blade in the machine, depending upon the nature of material being cut by it. The machines are equipped with a switch and a locking button. Both the points are fully waterproof. Hence, there is no risk attached to the machine even if it is exposed to water accidently. Marble cutting machine is also capable of executing different types of cuts and designs, depending upon the requirement of the user. Last but not the least, these machines are of robust nature and this makes them long lasting. What is the material by which marble cutter is made? It is a highly powerful electronic machine and is made up of a high grade plastic or metal material body. The handle for holding and executing the cutting process is attached on top of the machine's body. The marble cutter also comes attached with a base plate which gives a rigid support to the machine. Last but not the least, the speed of the blades is somewhere around 12000 rpm. After having read all the details, purpose and advantages of marble cutting machines, one can decide to buy this machinery. There are many leading brands in the market which offer the sales of such useful machines. However, one should always be very careful while using these types of machines for the sake of safety. A person should also look through different models of the machine available in the market. Doing this will help them to have a clear view about which machine to pick.